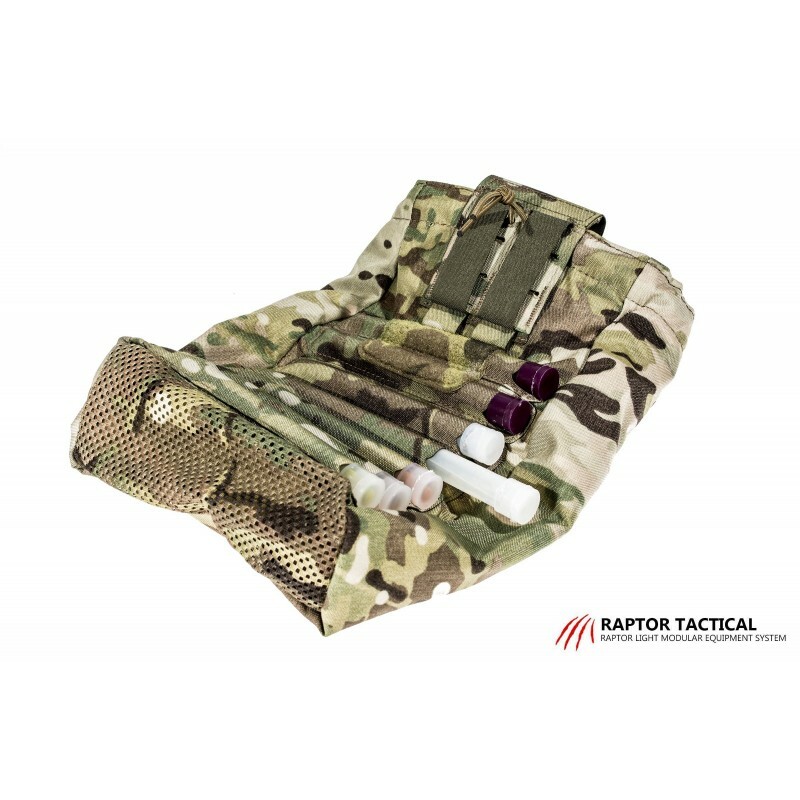 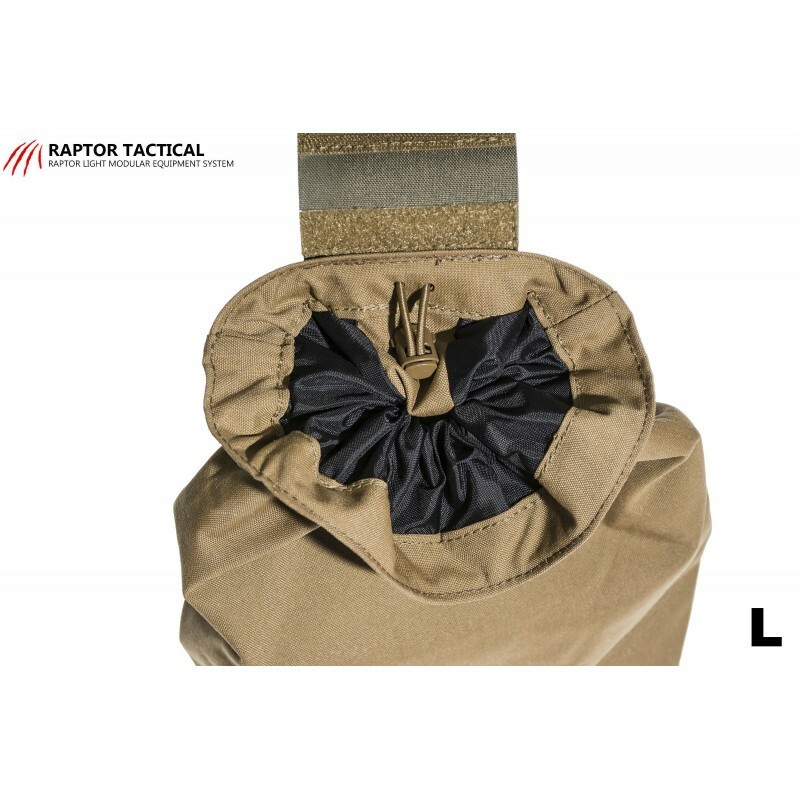 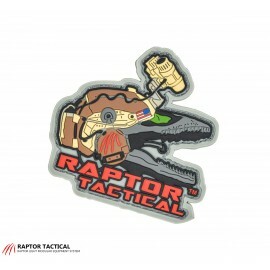 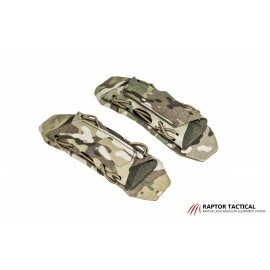 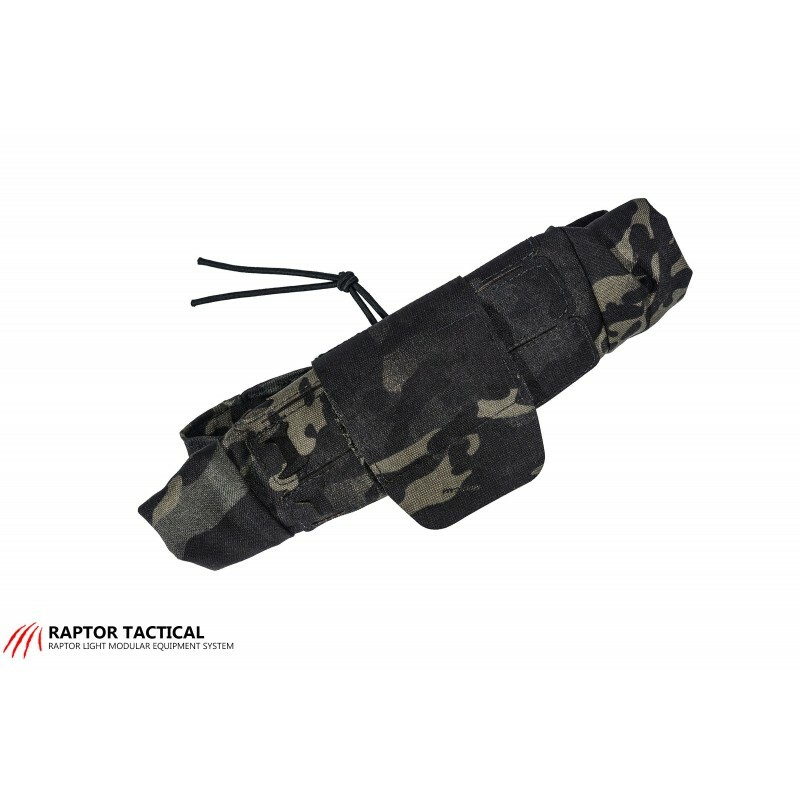 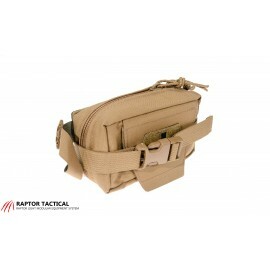 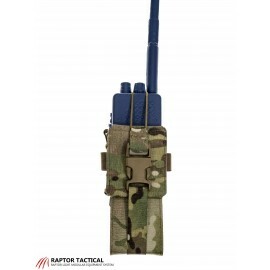 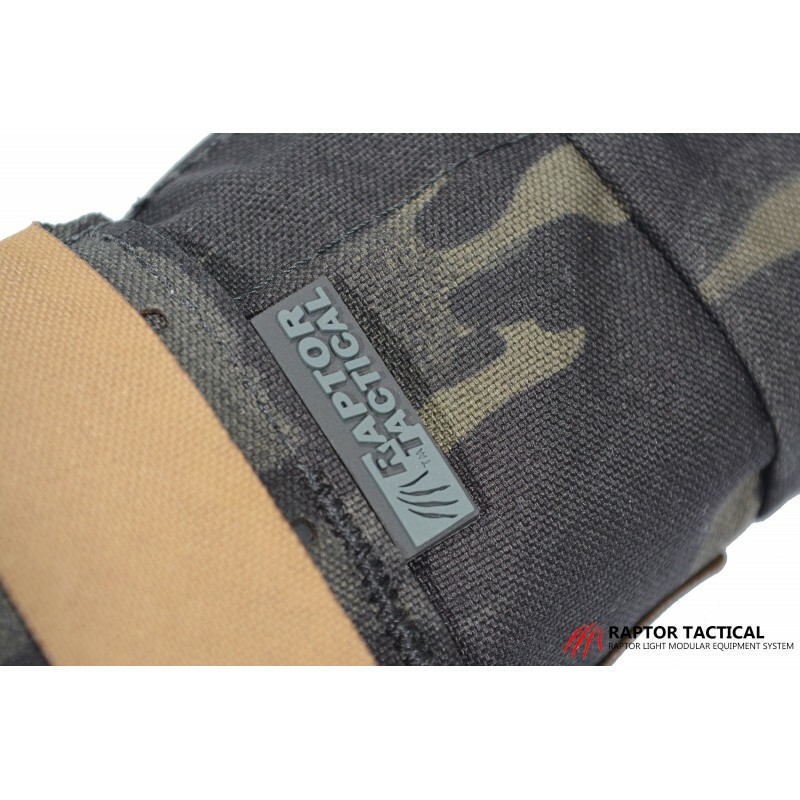 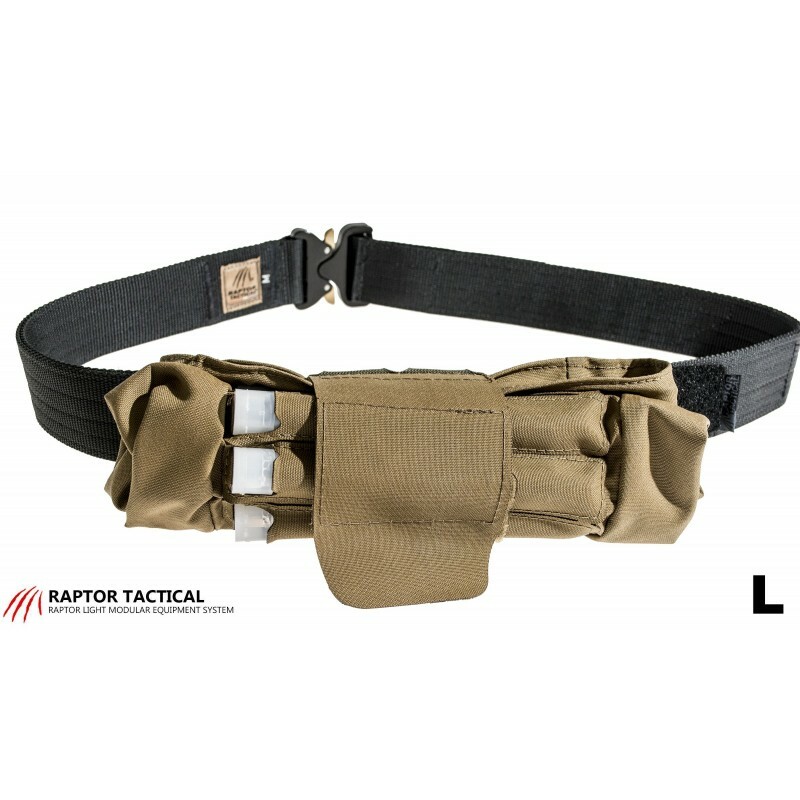 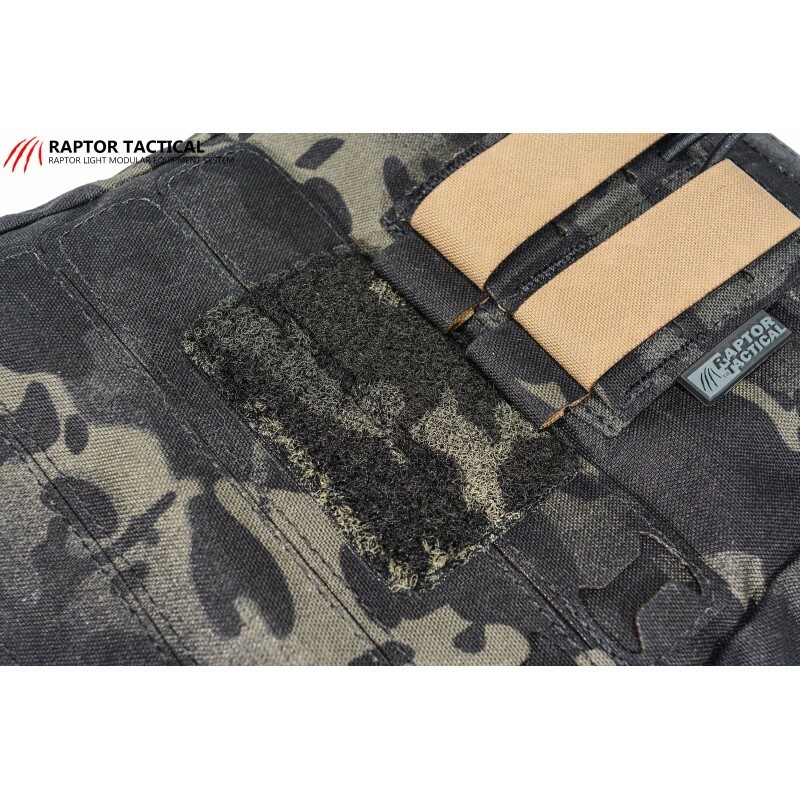 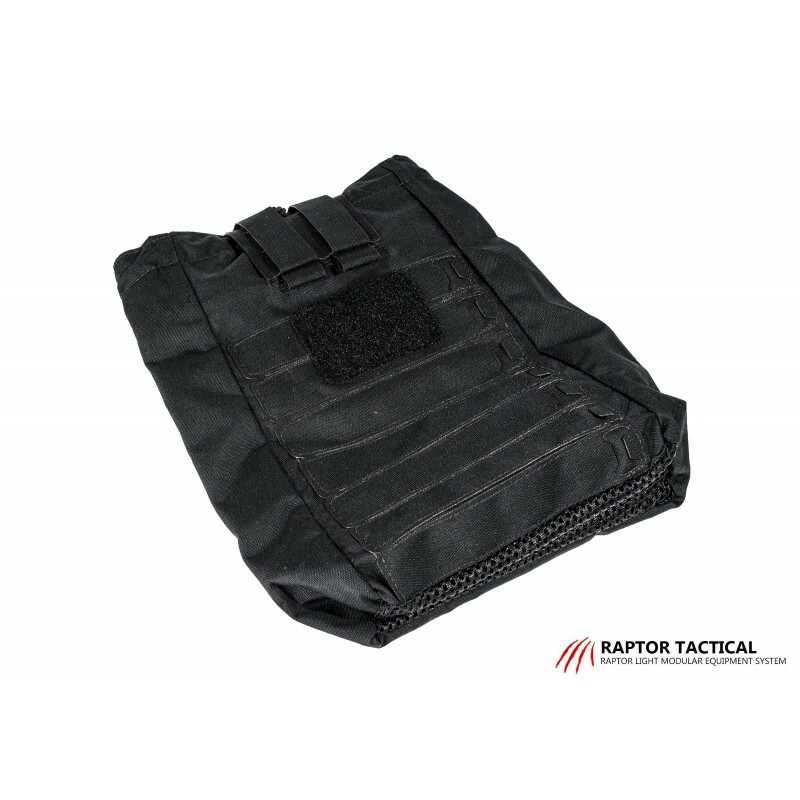 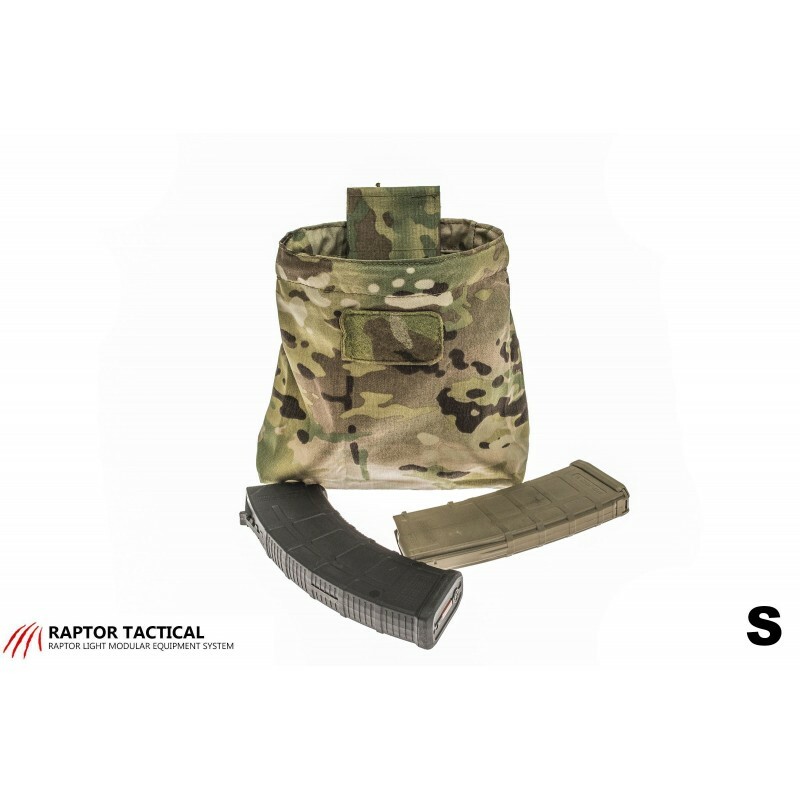 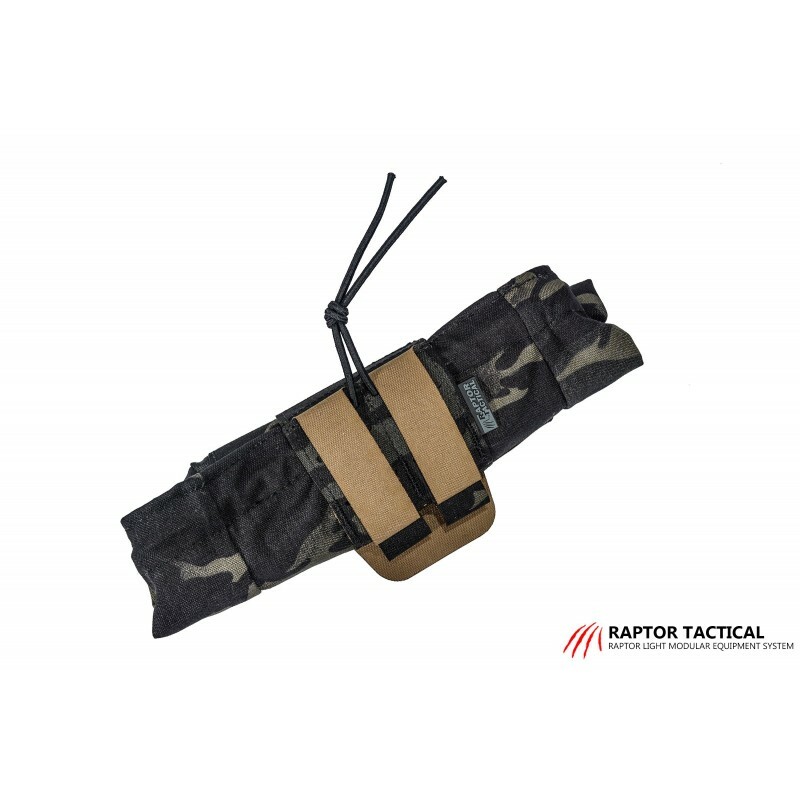 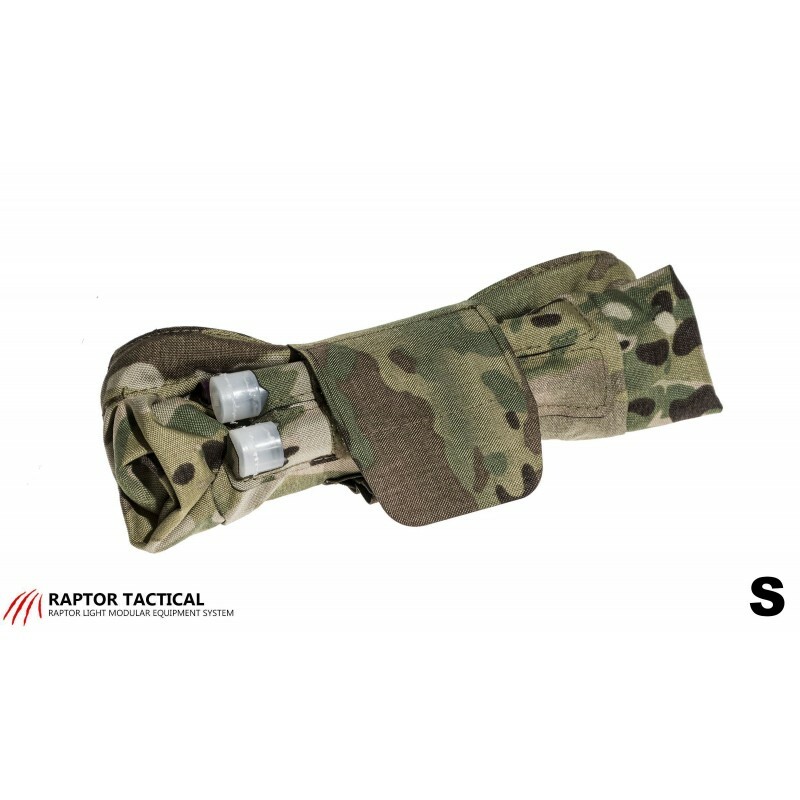 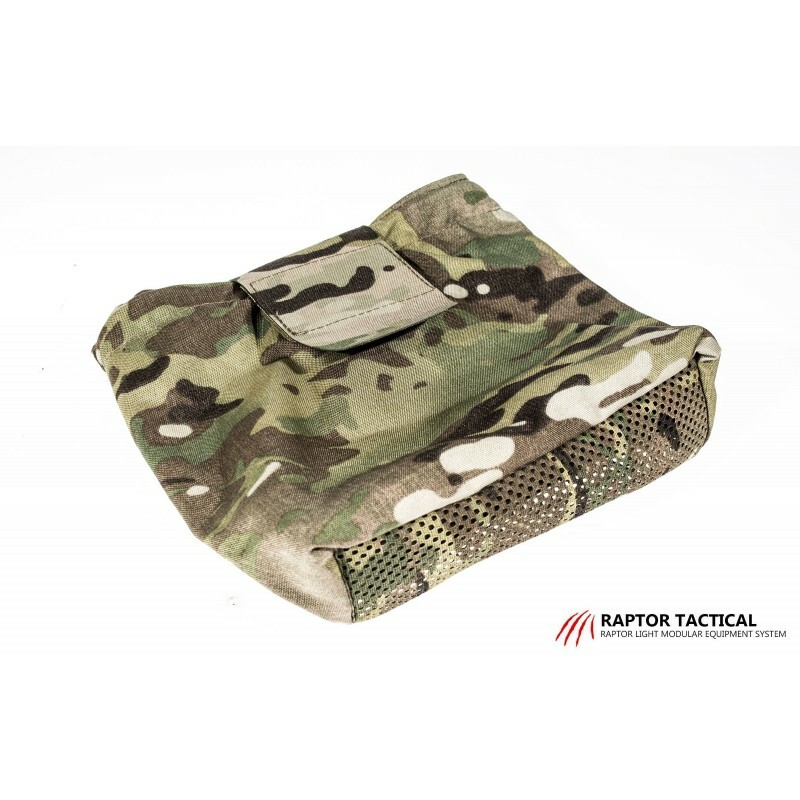 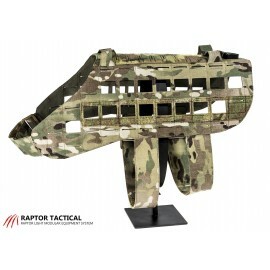 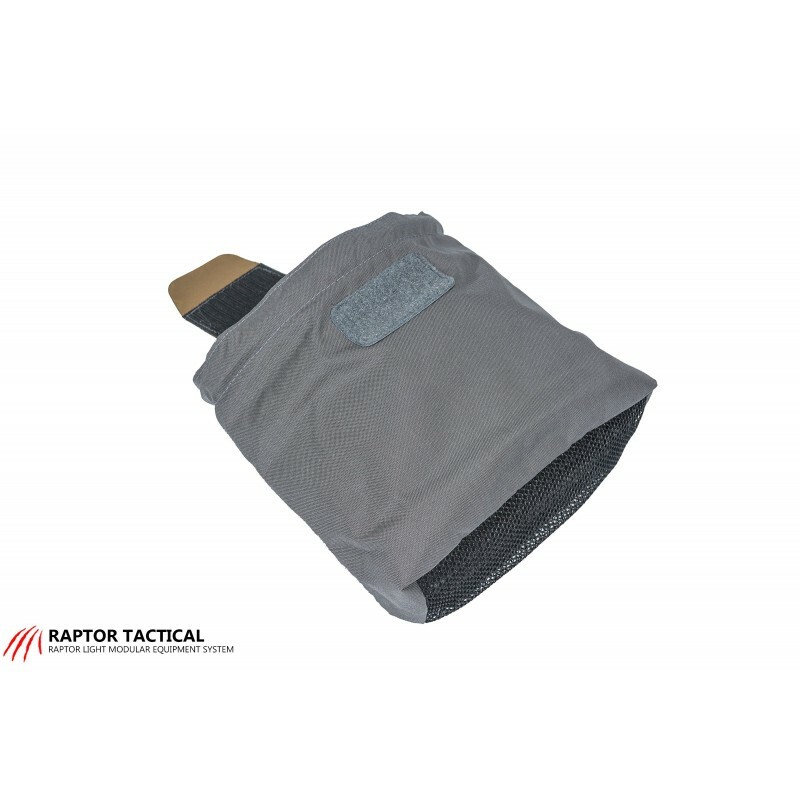 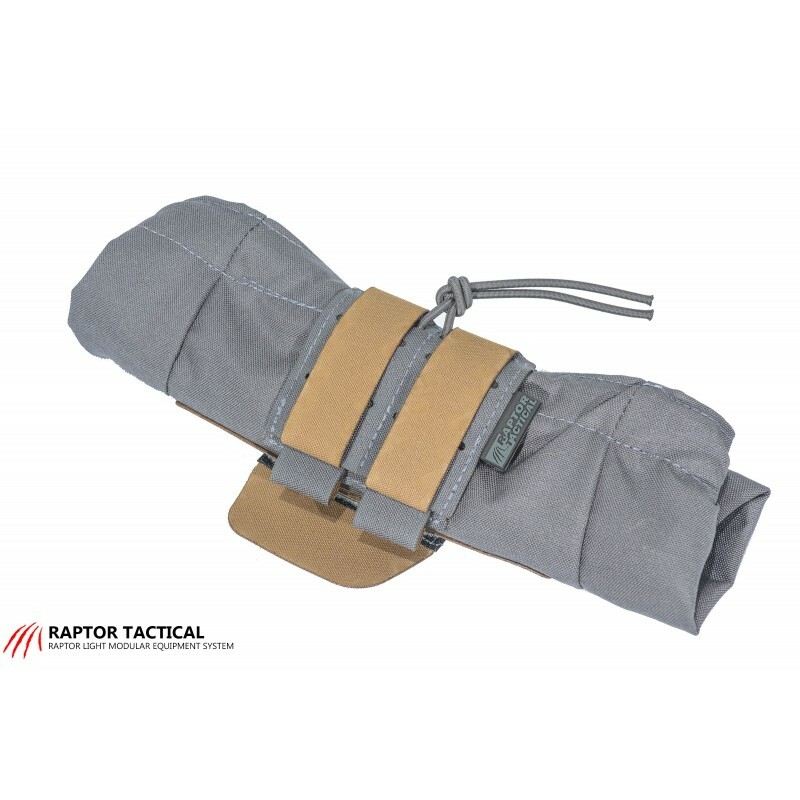 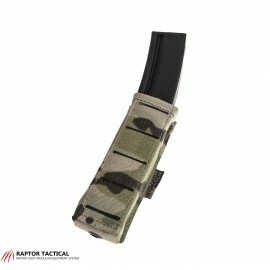 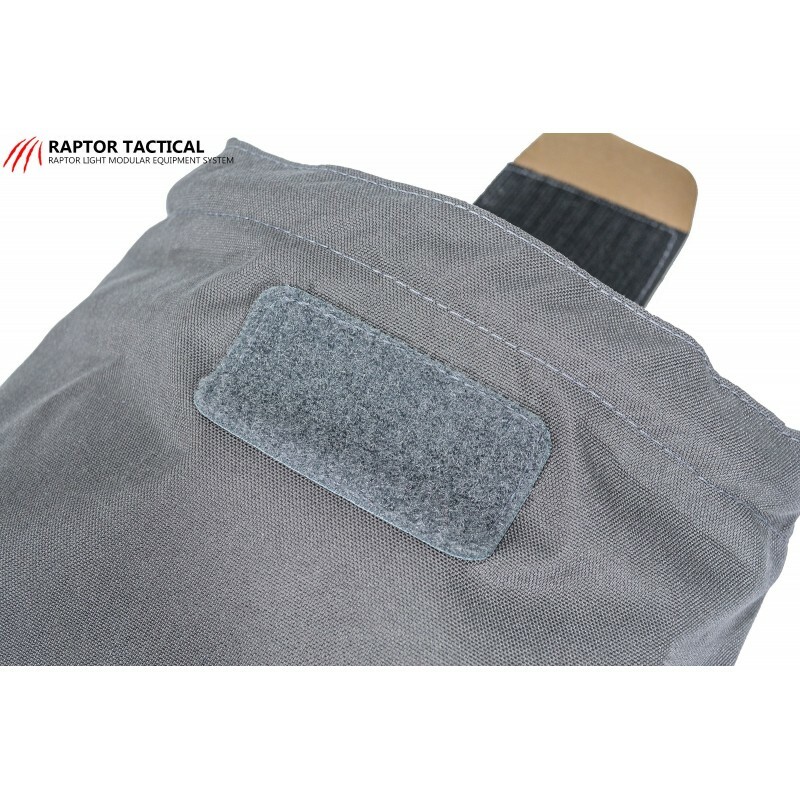 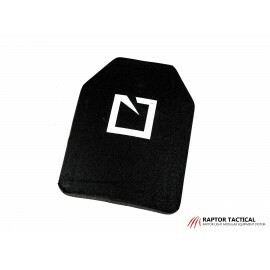 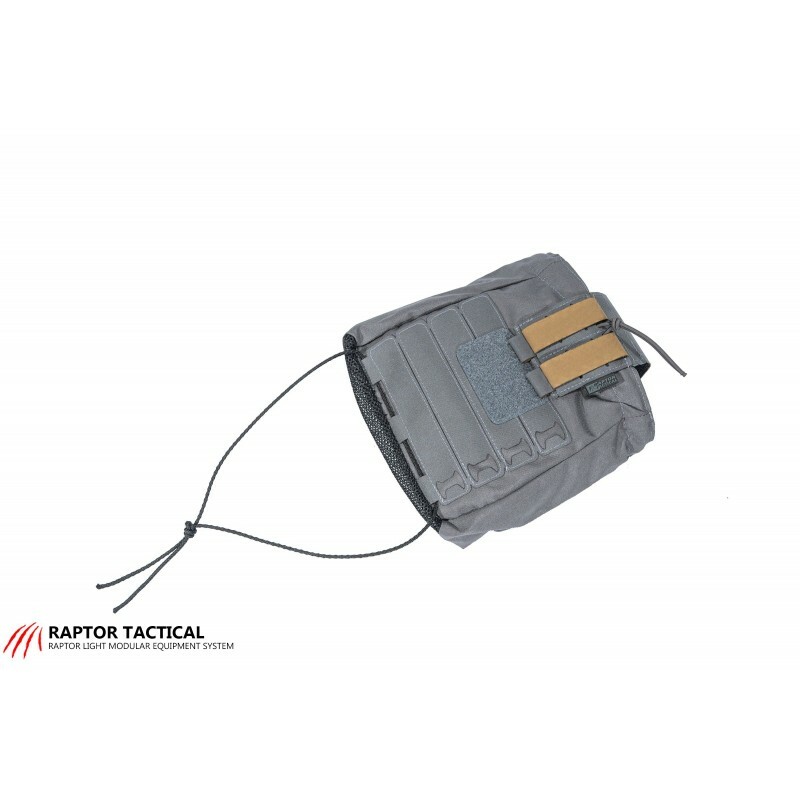 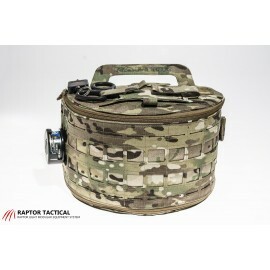 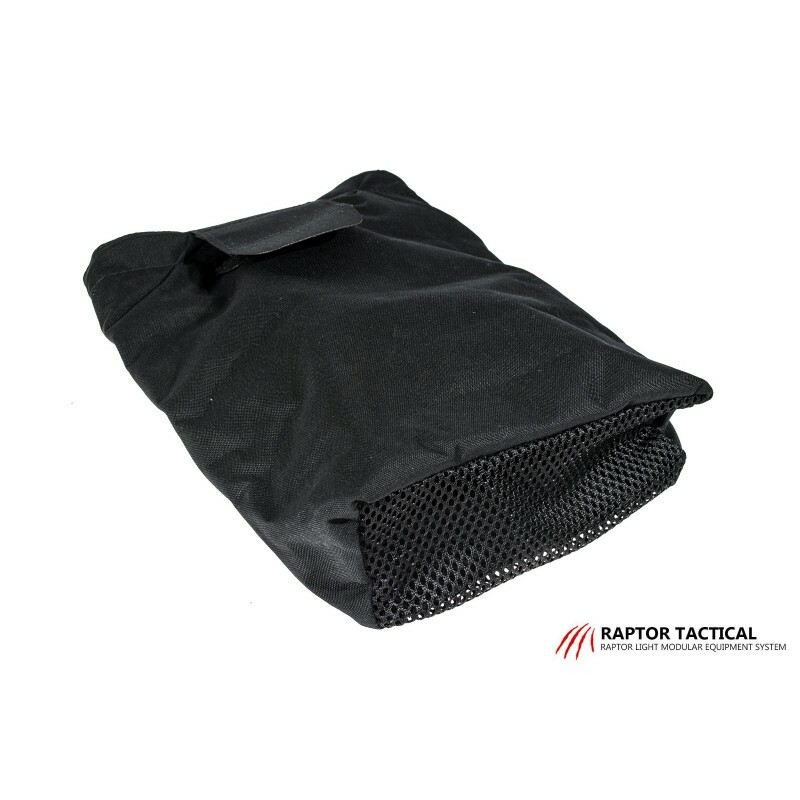 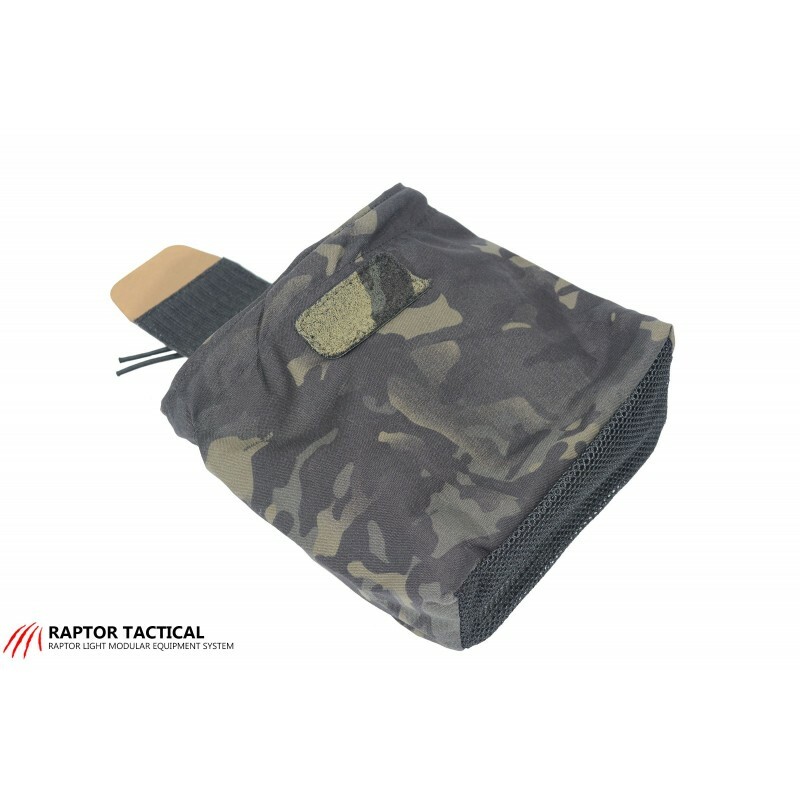 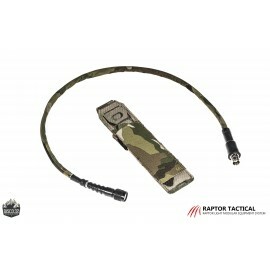 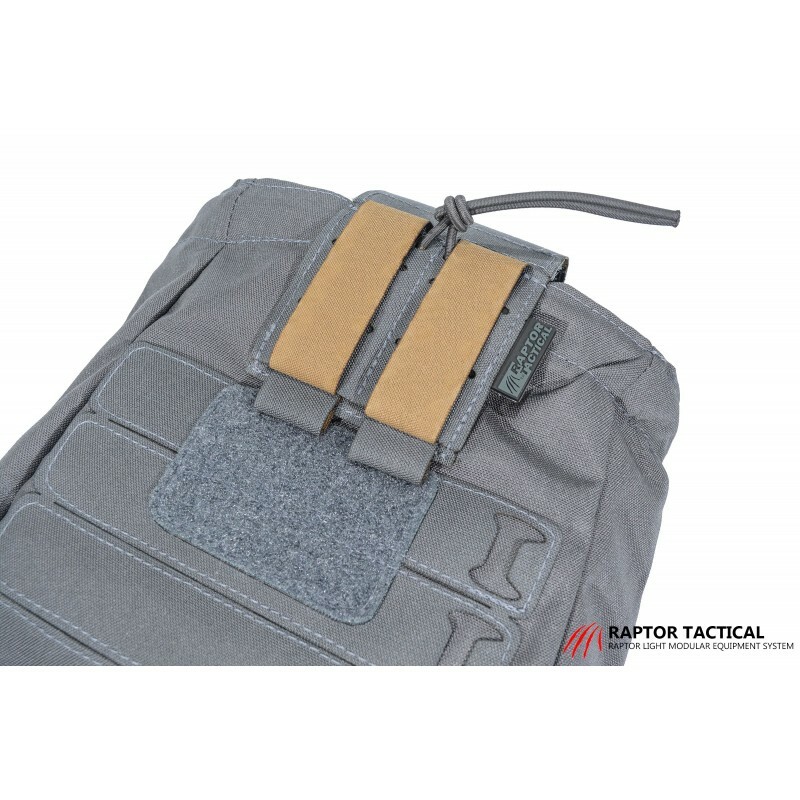 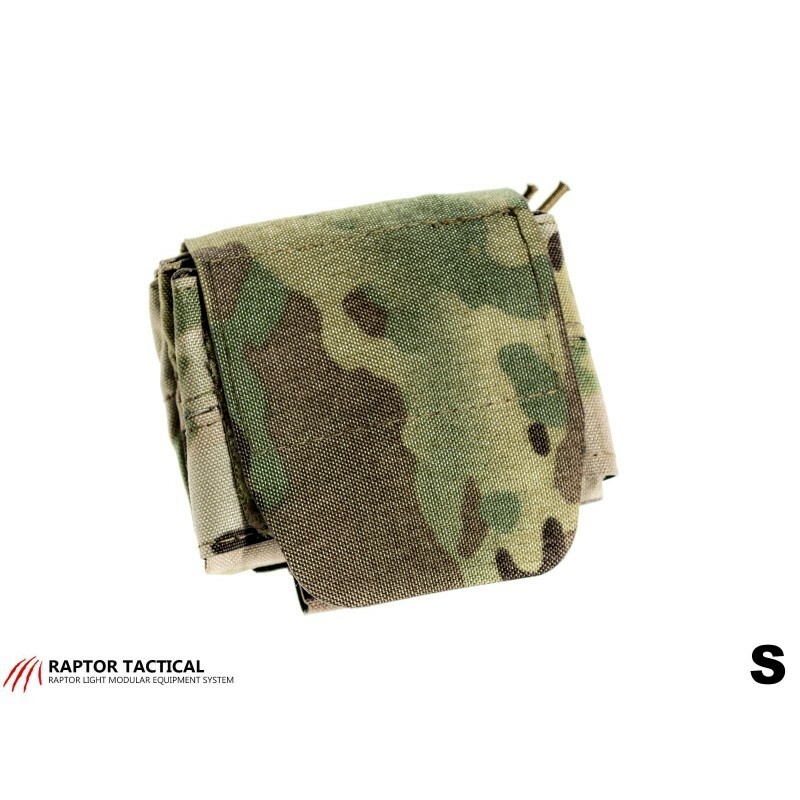 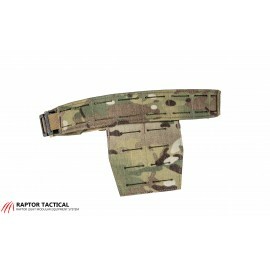 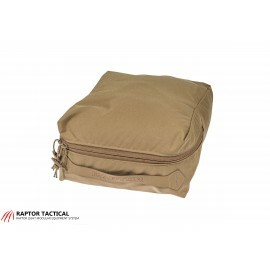 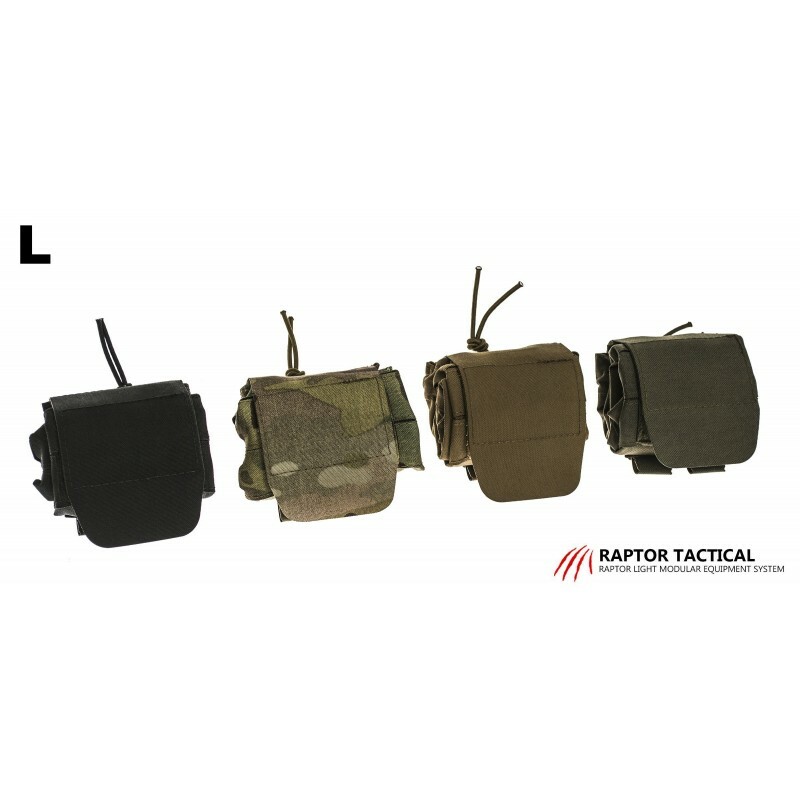 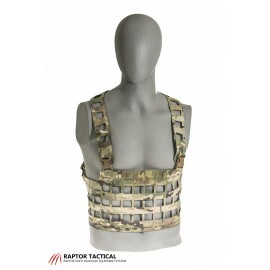 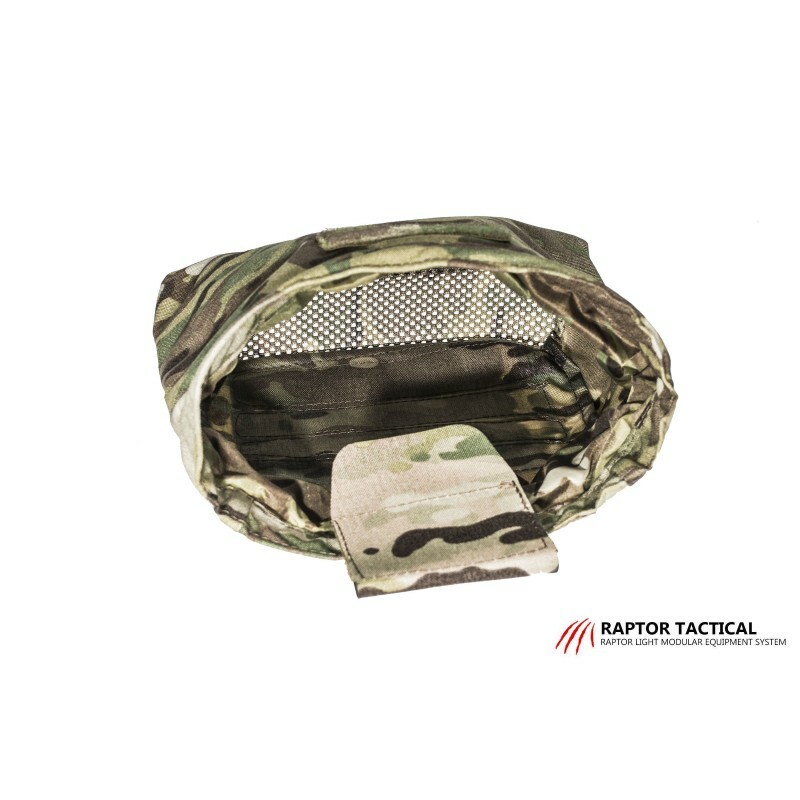 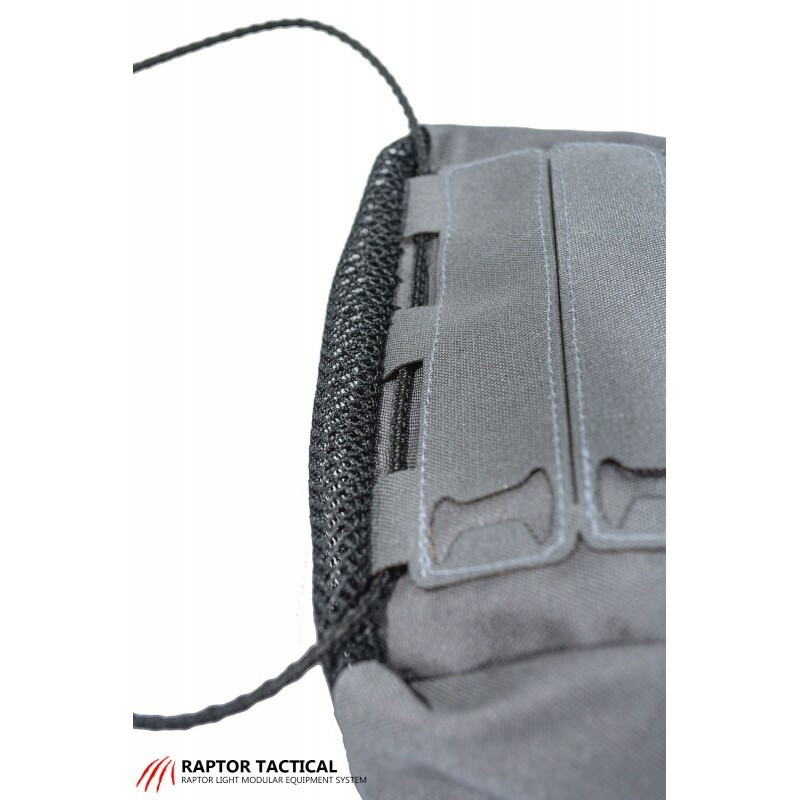 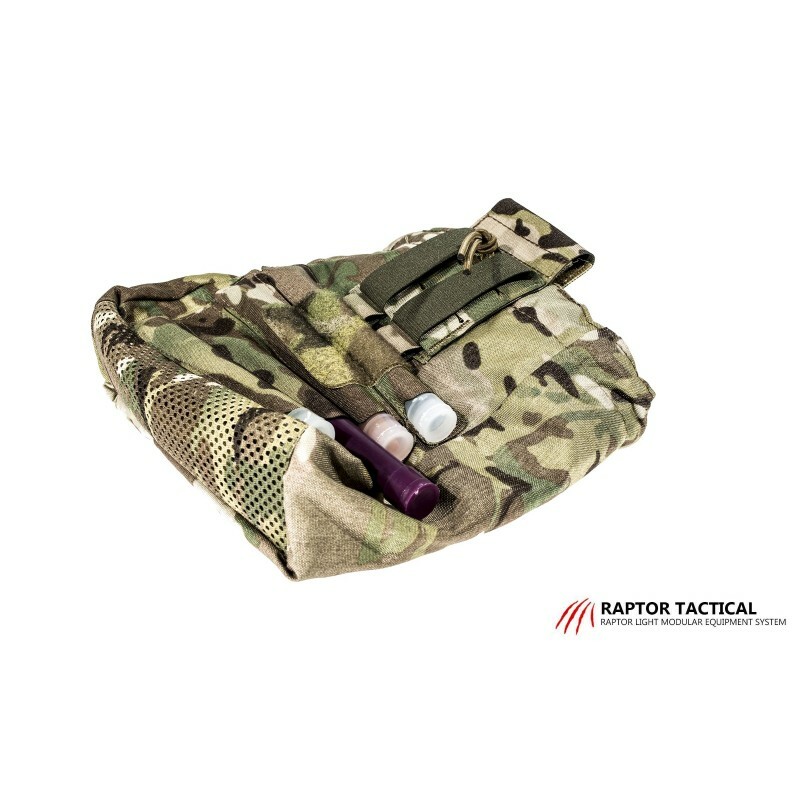 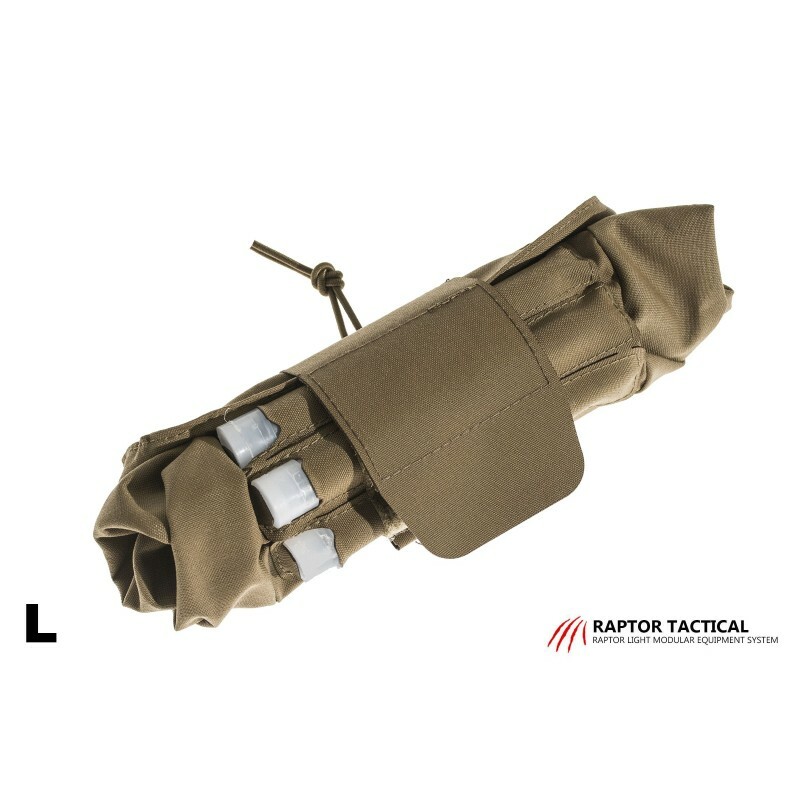 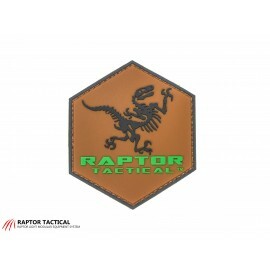 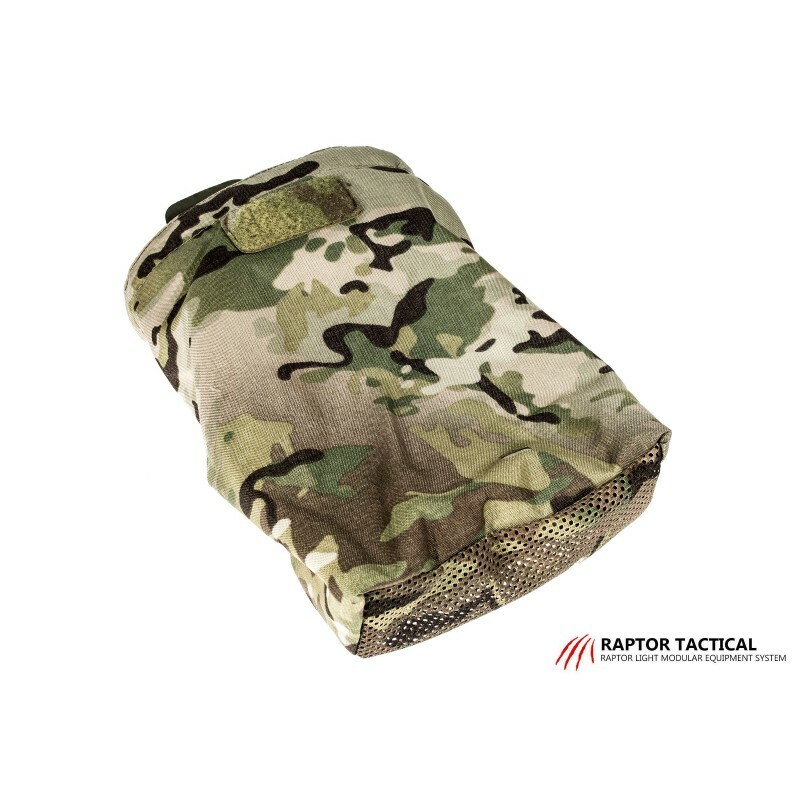 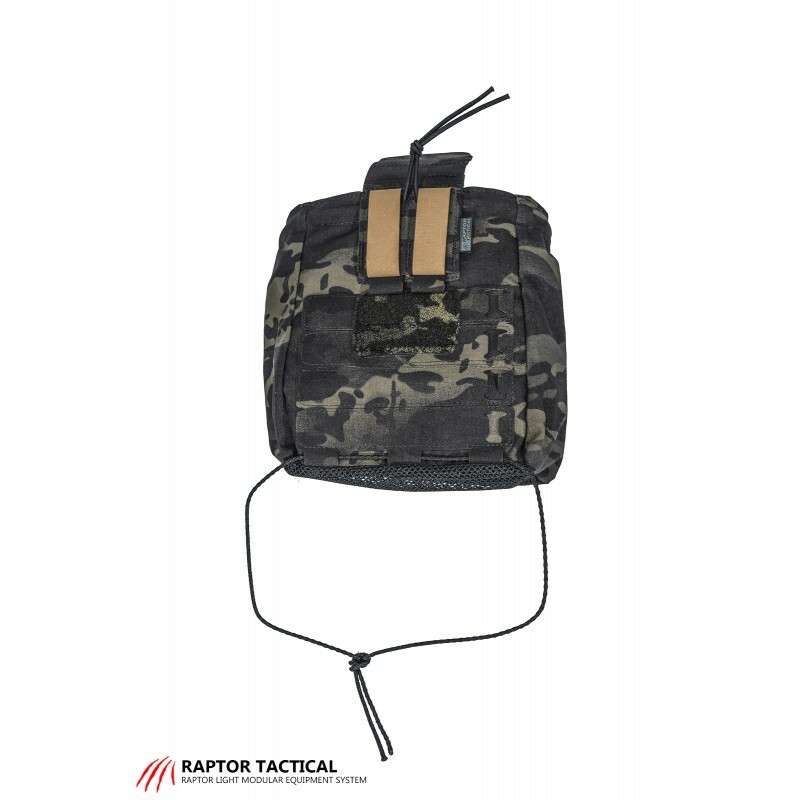 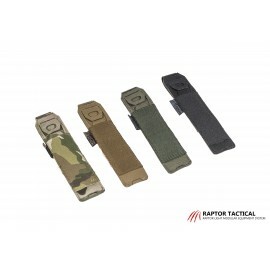 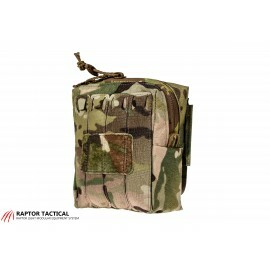 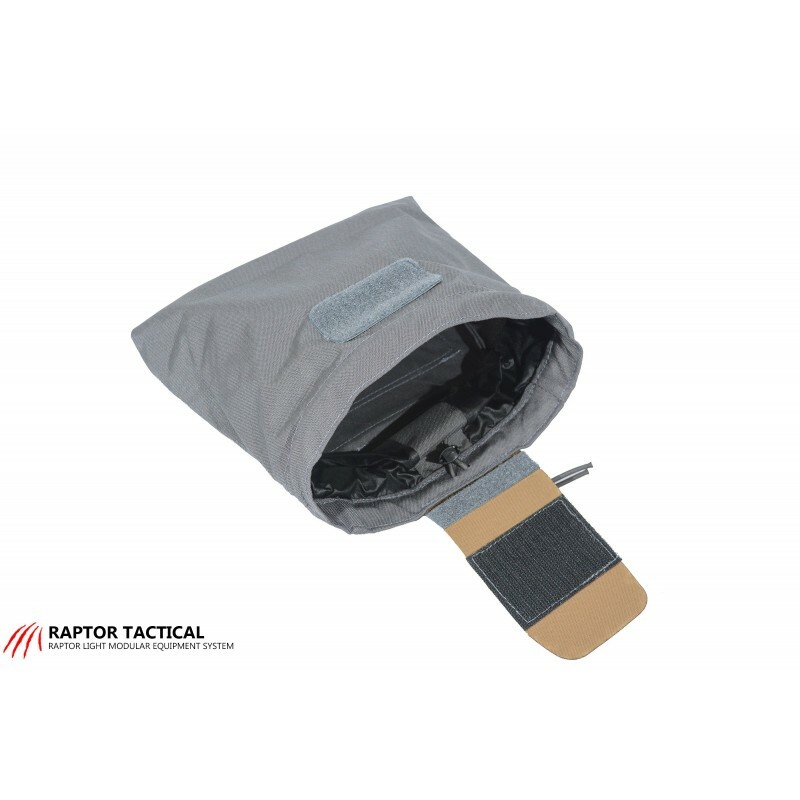 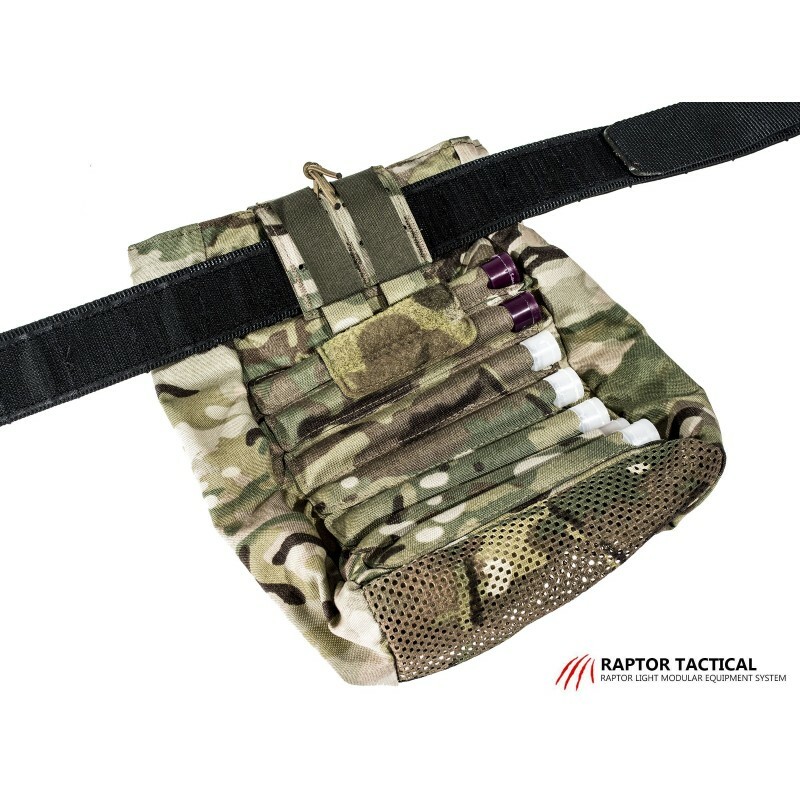 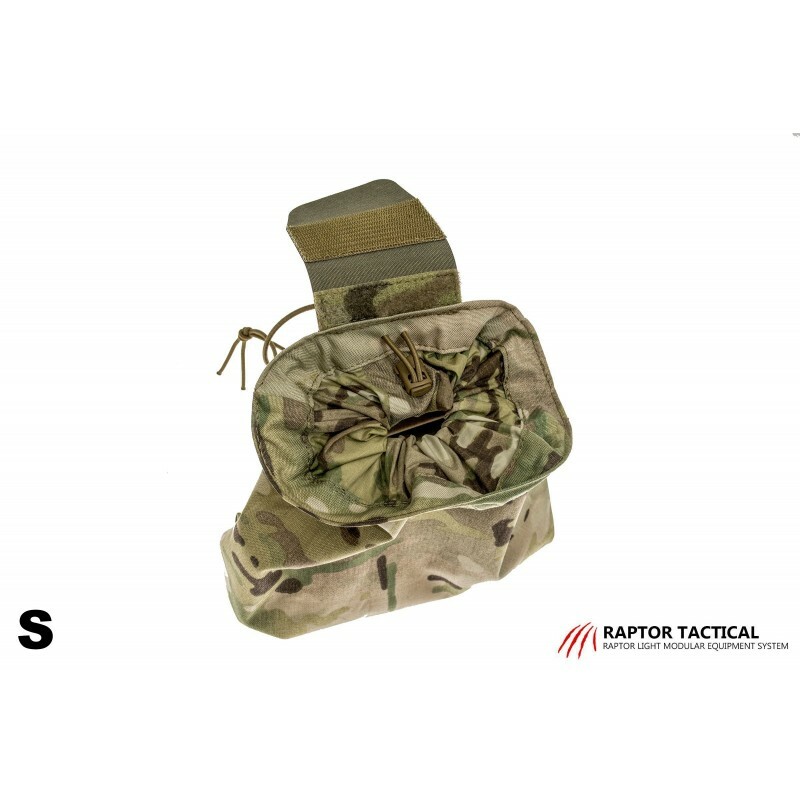 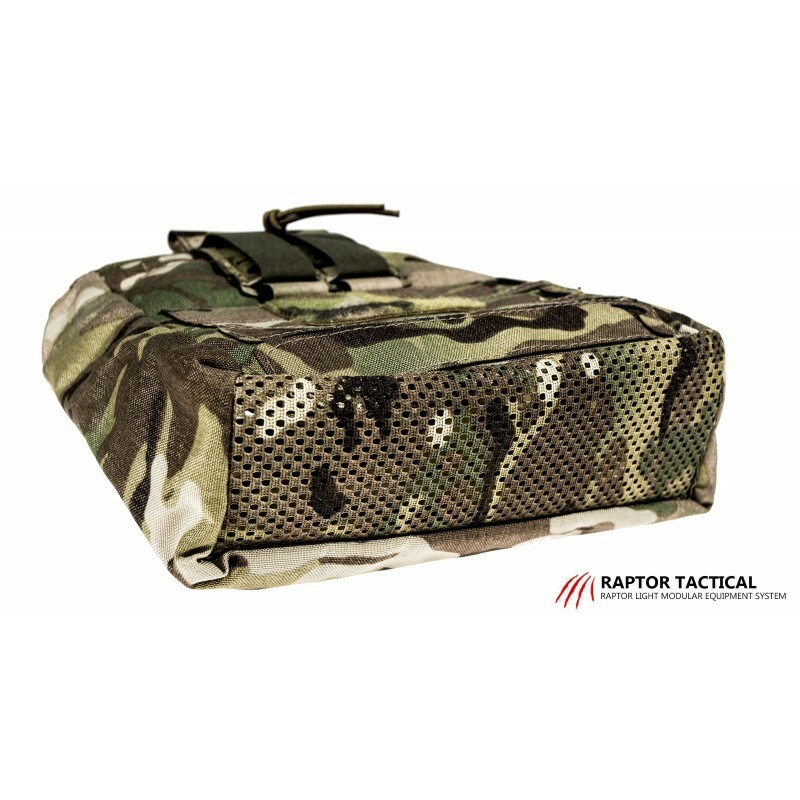 The Raptor Folding Dump Pouch is designed to roll up and stay out of the way until you need to use it at which time it can be unrolled to provide convenient storage of your spent magazines. 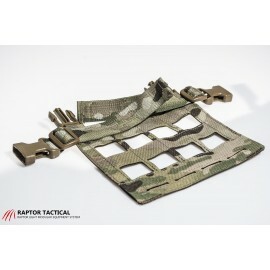  Attaches via two MOLLE / PALS straps and belt slive. 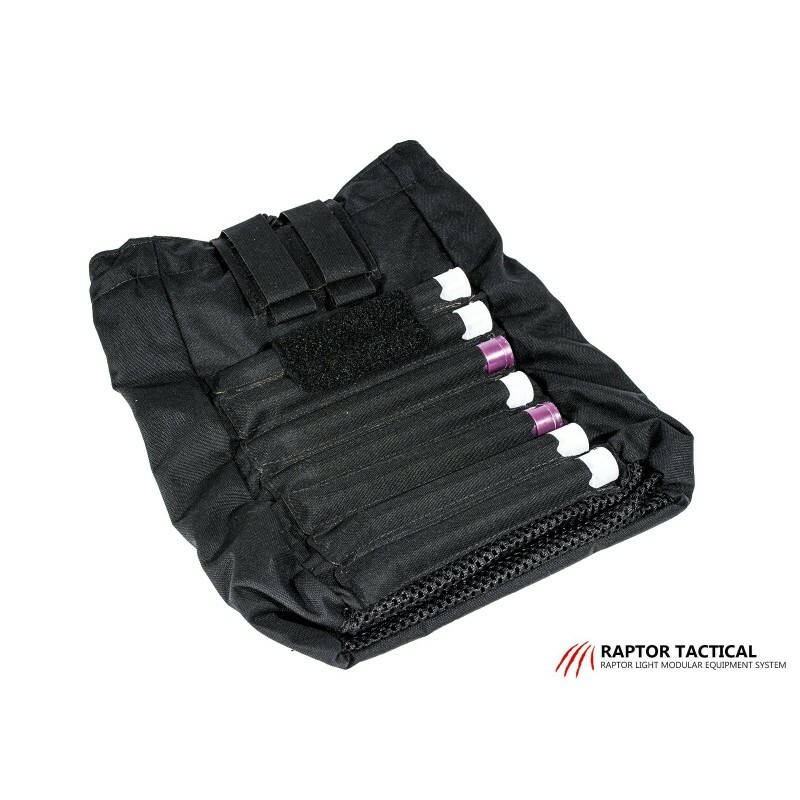 Short holds 9 AR15 mags and Long holds 15 AR15 mags. 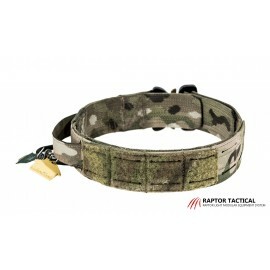 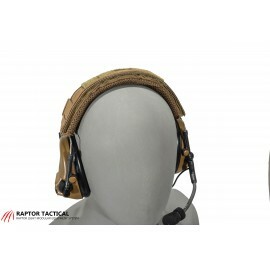 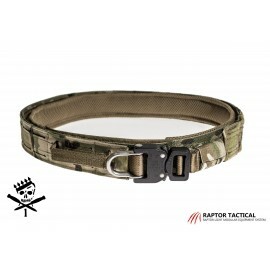 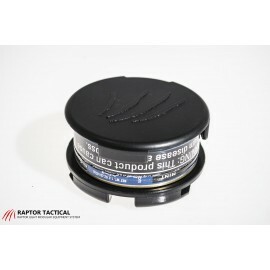 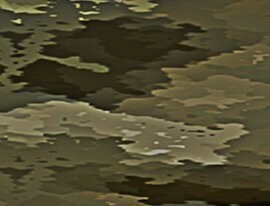 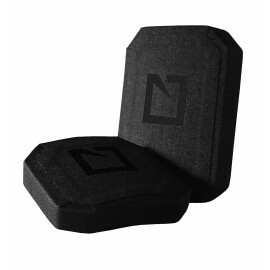 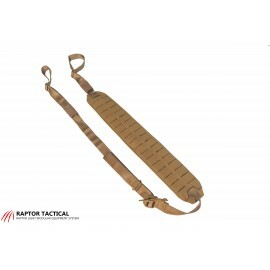 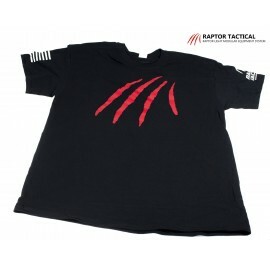 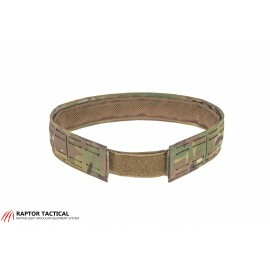 It`s also good for Shotgun shells, secured evidence, fish trap, etc. 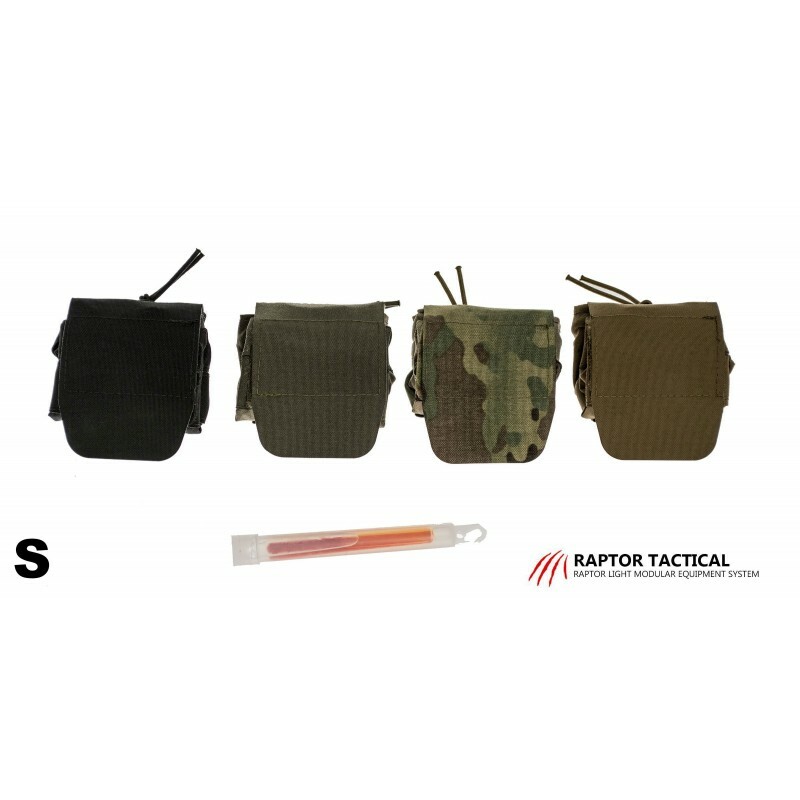 Also, S version holds up to 4 ChemLight's in the back, and L version holds up to 7 ChemLight's. 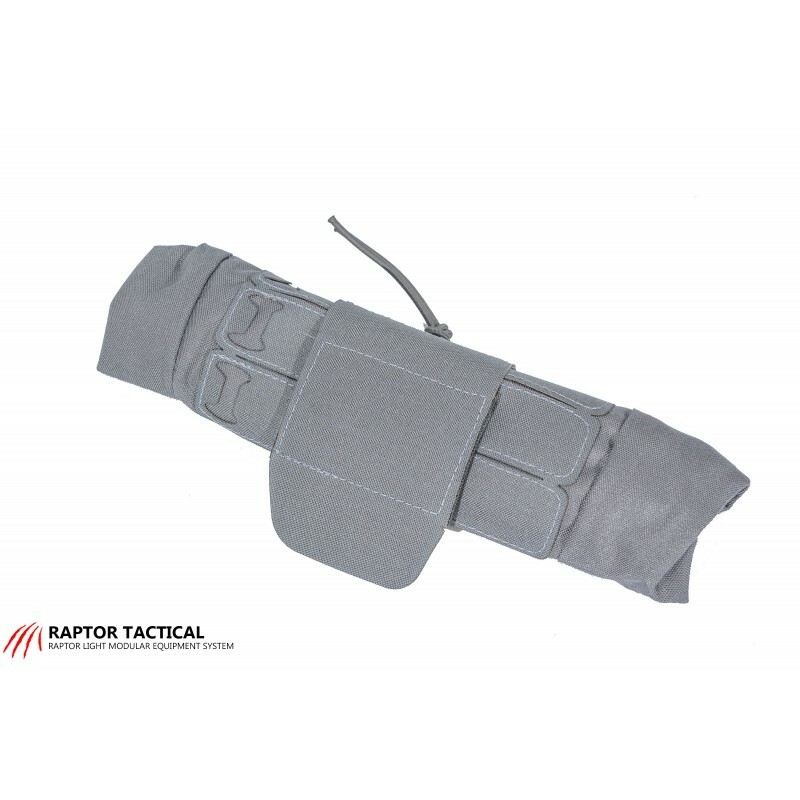 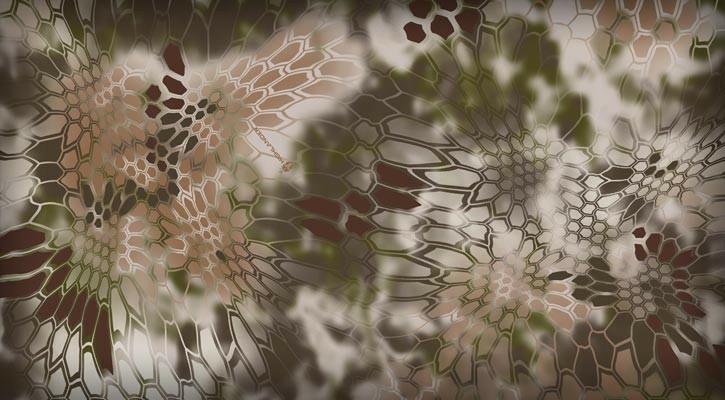 Have a snug fit and can be used on the go. 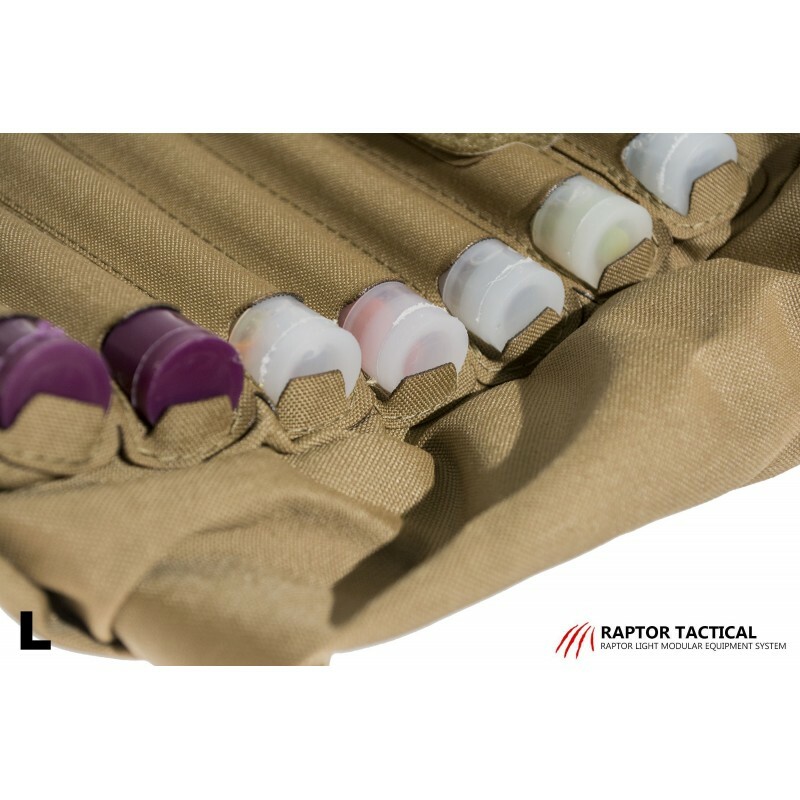 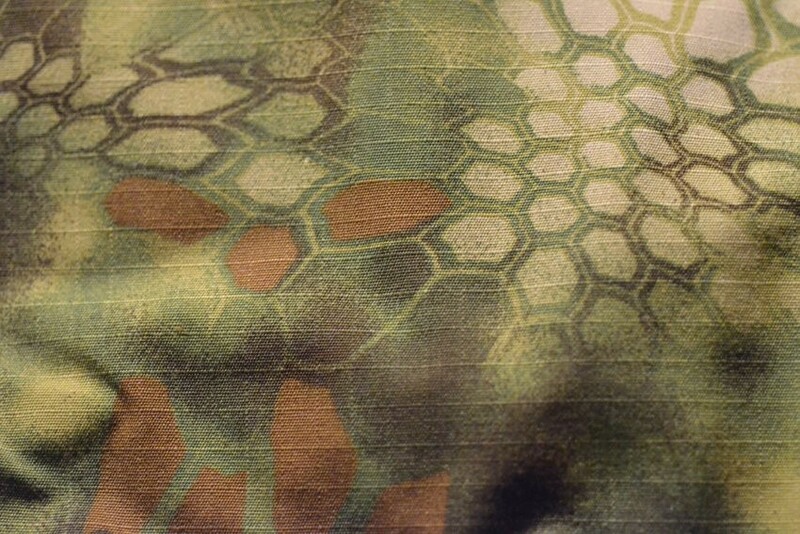 The pouch with the ChemLight stored in the back is easy to roll up for later use. 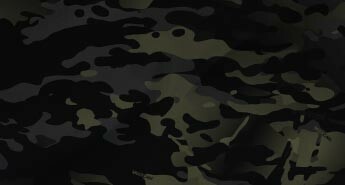 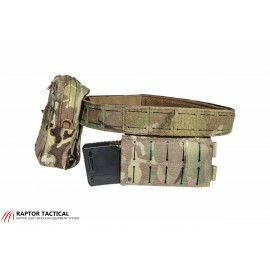 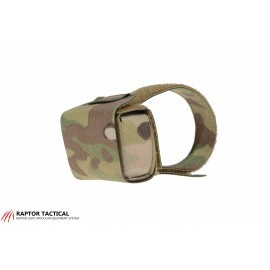 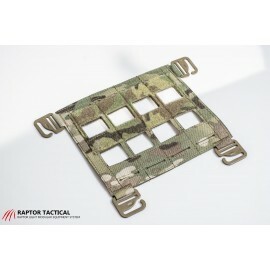 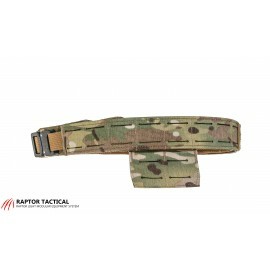 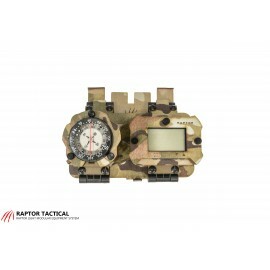 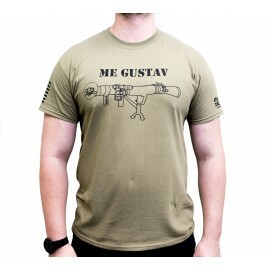 mounting system compatible with MOLLE and 50mm belt.